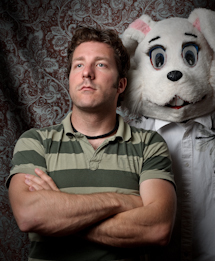 Just got to Montreal with my buddy BigRich a day in advance of the F1 race festivities.. This city is truly incredible, uber bike friendly and full of great restaurants, pubs, and coffee shops, not to mention a plethora of beautiful people. 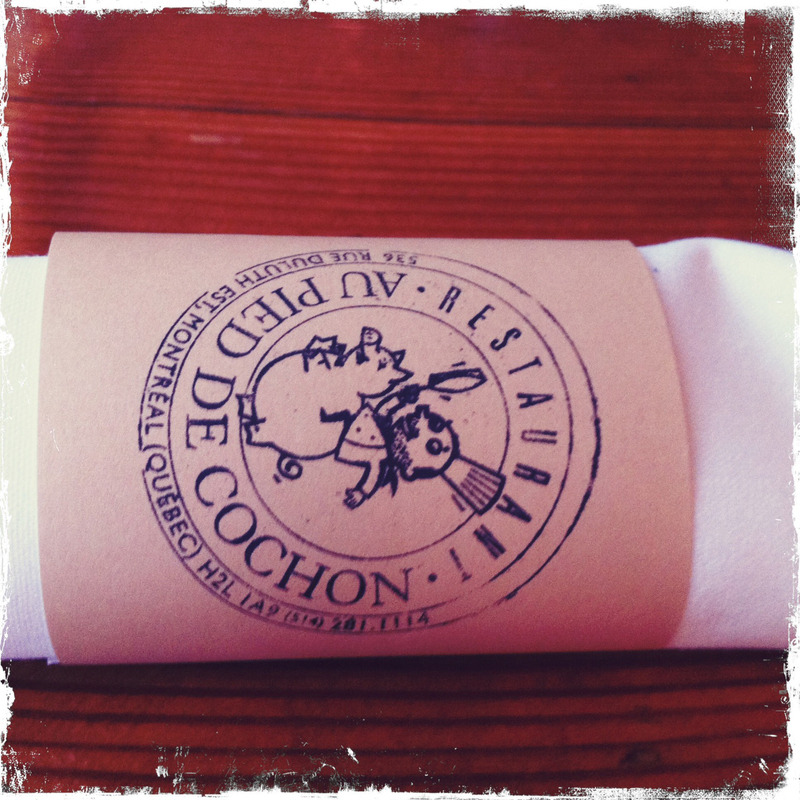 Our first meal in town was at Au Pied de Cochon (The Pig’s Foot) and the whole experience was, in a word, stupendous. 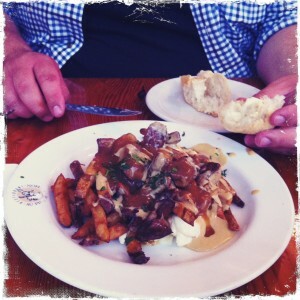 We started with the Poutine au foie gras served with both white and dark gravy and proper Quebec squeaky cheese curds. We soaked up the gravy with a loaf of freshly baked french bread and washed it down with a pint of PDC’s own beer. Spectacular. 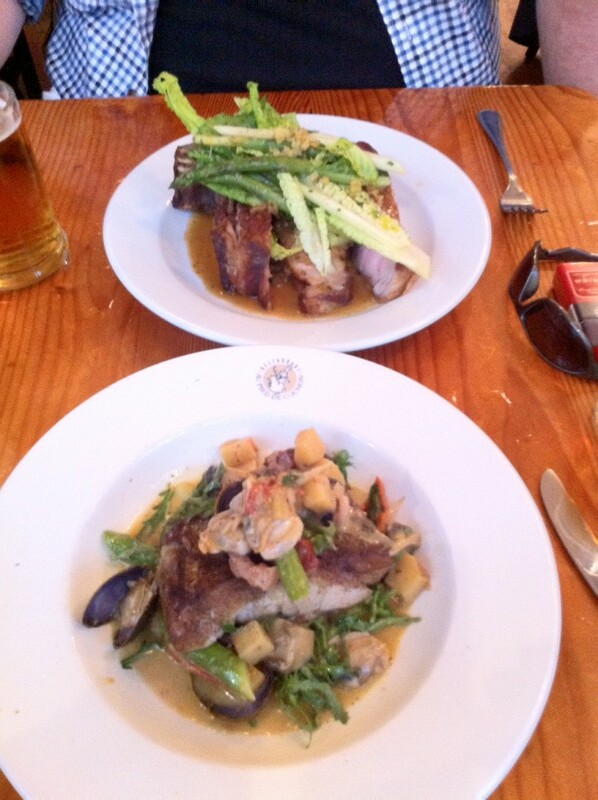 The two of us opted for two of the supper specials, PDC’s pork ribs and a white fish dish that I’d never heard of but savored every bite of nonetheless.. Each of the dishes was portioned perfectly, full of flavor, clearly prepared with care, and cooked to perfection.. The service, offered in French (and English for this mono-linguistic heathen) was attentive, friendly and puts anything I’ve encountered in Calgary to shame.. When we arrived, the resturaurnt was very warm (due to the 32 degree high temperature in the daytime). Staff were extremely concerned with rectifying this issue by turning on the air conditioning and when that failed, opening the patio doors to encourage airflow from the tree-lined street. If you hadn’t guessed, I’d highly recommend Au Pied de Cochon if you’re out dining in Montreal! I recognize Richard’s favourite shirt!